Congratulations to Kelly B. aka Queen Bee! 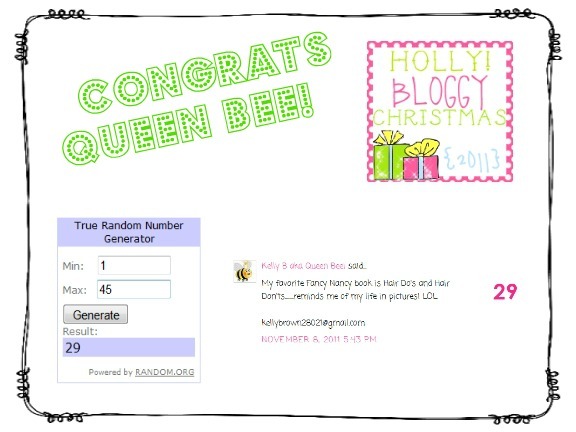 She is the winner of our Holly Bloggy Christmas Giveaway #3! Don't forget to check out Ms. Preppy's blog on Monday for the next giveaway! thank you so much! I am excited about winning! Kelly I think you should win a contest for winning so many contests! You are one lucky duck!! !